Claudia Coming Home: Happy Fall! Here in New England we are enjoying Indian summer. It has reached 80 degrees the last couple of days. Not to shabby!! 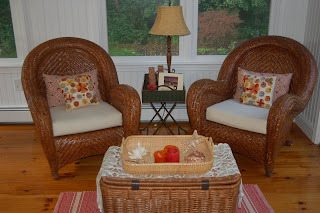 Yesterday was the first day I started to use some warm colors to get started on Fall decorating. Have you started? Love the warm cranberry reds and orange colors this time of year. Enjoy some of these inspirational pictures. Hi Claudia! I haven't started my fall decorating yet and it is very sad! :( With my renovation going on I don't dare bring out even more "stuff" to add to the chaos. I do have a goal to be done in the next week so I can get Halloween out - I LOVE Halloween and go a little nuts in the holiday decor! Hope your project is moving along! there are offered two variants of Tutu Helper App Tutu Helper APK, one of them is cost-free while the following Here one is paid. The paid variation is Tutu Helper VIP App called TutuApp VIP. Due to the means this simplesite.com/ system is created, there's no programs, no maintenance Title as well as no electrical power Fleck 5600 Sxt Metered Water Softener | 5600sxt needed. It's essentially a hands-free remedy Fleck Water Softener that will certainly offer you with years Best Fleck Water Softener of usage.